If you are looking for a lovable little canine companion, consider adopting from a Yorkshire Terrier rescue organization. Yorkshire Terriers, commonly referred to as Yorkies, with their long silky coats and delicate features are an adventurous, energetic and feisty breed. 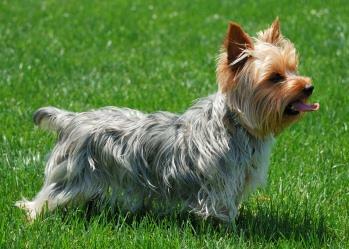 Ranging in weight from approximately four to seven pounds, Yorkies seem oblivious of their small size. Known as a clever, brave and loyal dog breed, Yorkies are very affectionate and protective of their human companions. Yorkies are also very strong willed and because of their tiny size and adorable looks, many caretakers allow them to rule the home. Yorkies need strong pack leadership from their human companions. Sadly, there are times when these adorable miniature canines find themselves in need of assistance from a rescue organization. It happens for many reasons. Sometimes their loving human companion passes on from this earth or becomes too ill to care for them. Others find themselves innocent victims of domestic problems or financial hardships as families struggle with divorce, job loss or relocation. Some come from abusive homes, puppy mills or have been abandoned by their humans. Others have gotten lost wandering far from home and are not found by their owners. Regardless of the reason, each of these tiny dogs is in need of help. They all need a forever home with caring and loving human companions to keep them safe. Located throughout the United States, rescue organizations for Yorkshire Terriers are dedicated to finding forever homes for homeless Yorkies of all ages. Most rescue organizations carefully screen and interview applicants, check references and visit the home. Many make follow up visits after the adoption is complete. If you are interested in adopting a Yorkie from a rescue organization, the first step is filling out an adoption application. In most cases, the application is found on the organization's website. Rescue organizations charge an adoption fee or ask for a donation that varies from organization to organization. Fees also vary within some organizations based on the age of the dog, its medical condition and other varying circumstances. If you find yourself in a position where you are unable to care for your Yorkshire Terrier, contact the nearest rescue organization. The organizations are there to help, and they understand that life changes occur that necessitate giving up a precious pet. The rescue group will place your dog in a foster home until a forever home is found.Many rescue groups also take Yorkie mixes. If they are unable to take your pet, they will direct you to a rescue organization for that breed. My Yorkshire Terrier provides a list with links to the Yorkshire Terrier independent rescurer network located in the United States, Canada and the United Kingdom. YTCA Rescue lists contact information for club delegates of fourteen rescue organizations. Bark Bytes is a compilation of organizations throughout the United States that rescue Yorkshire Terriers. If you are looking for a lovable little furry companion, it may be waiting for you at the nearest Yorkshire Terrier rescue group.